WRAPUP: A great indoor venue, homemade donuts, raffle prizes and a visit from Santa.. What could be better. 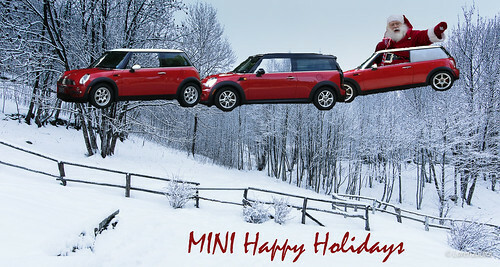 Huge thanks to Kevin and the staff of MINI of Orland Park for making such a fun event.. Overall best dressed MINI went to Will, 2nd to Steve, and 3rd to Matt.